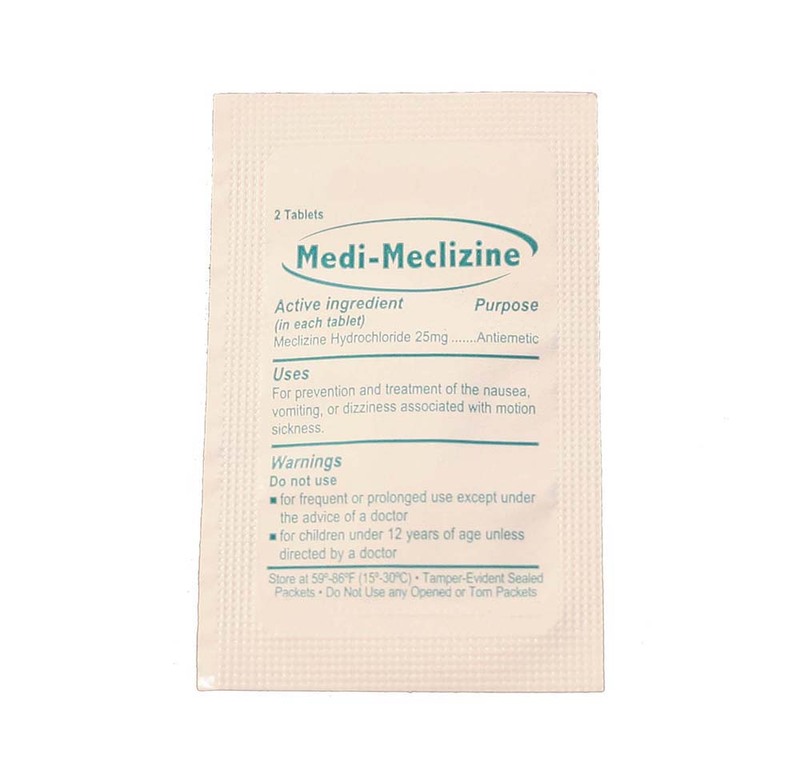 Use for the prevention of nausea, vomiting or dizziness associated with motion sickness. Use for the prevention of nausea, vomiting or dizziness associated with motion sickness. These are great for boat kits, carrying in your purse or even your car. There are 100 packs per case and 2 tablets per packet.